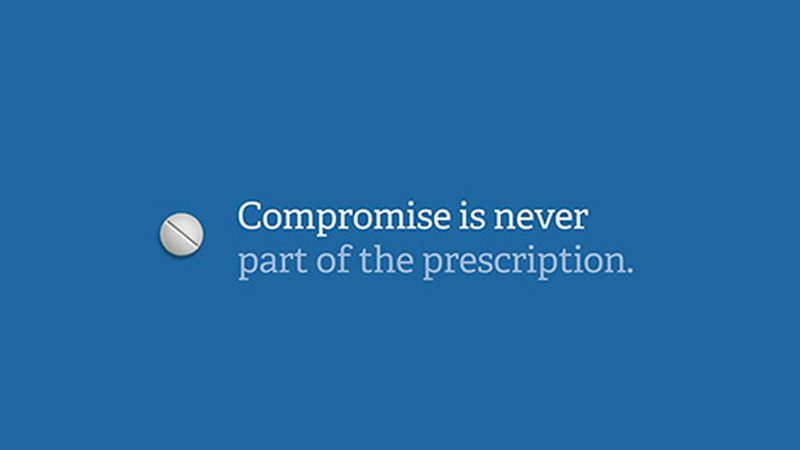 We make even the most complicated prescriptions easier to take. When PCA Pharmacy came to see us, they told us they were getting lost in a sea of other competitors. That even although they knew they were special and offered outstanding service and quality, nobody else knew about it. They’d been around for a long time and they’ve been growing steadily (they’re in five states). They had a website and identity materials, but they hadn’t made any difference at all — actually, the sales people were embarrassed to show the stuff they had. After some digging and thinking and working, we helped them rediscover and (more important) learn how to communicate where their value lay. They needed clearer, stronger, more memorable ways to share their level of professionalism, and a fresher platform from which to share it. The website distilled their experience and expertise in easily understood ways and slimmed down the communication process. Rather than burying visitors in a volley of words and pictures, they simply stood behind their values.